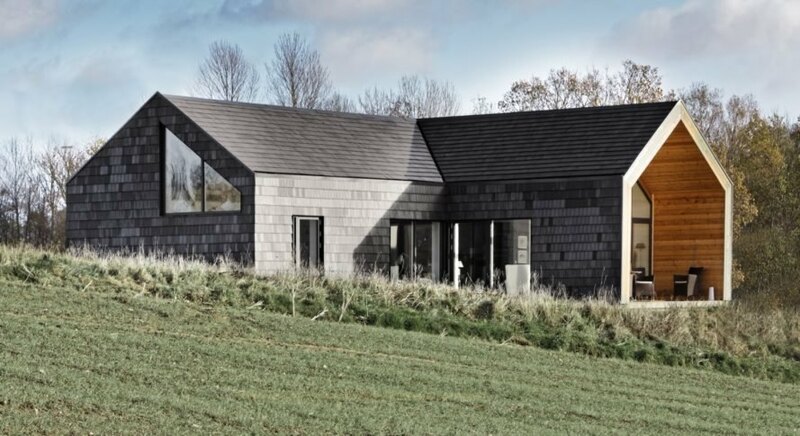 Danish architecture firm Tegnestuen LOKAL recently completed TK-33, a modern and energy-efficient home that promotes building materials considered more sustainable than those typically used in Danish residential construction. To reduce the carbon footprint of the project, the architects designed the home with a timber structure rather than the more commonly used load-bearing concrete walls. Triple-glazed windows and a flexible floor plan also add to the home’s environmentally friendly cachet. 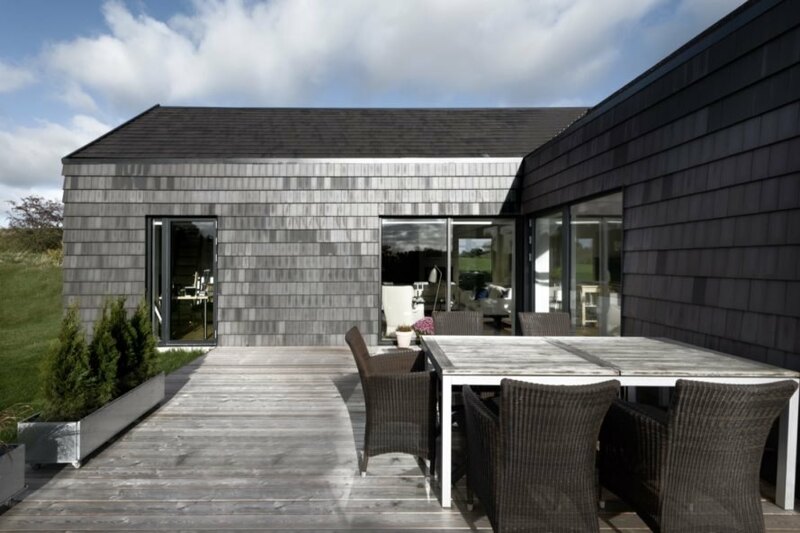 Designed for an older couple, the TK-33 home is located on the outskirts of a small town north of Copenhagen. The single-story home spans 130 square meters with two bedrooms and a centrally located, open-plan living area that connects to a spacious L-shaped deck. The flexible layout allows the homeowners to easily adapt rooms to new uses without the need for renovation. Full-height glazing pulls the outdoors in while a natural materials palette ties the home to the rural landscape. 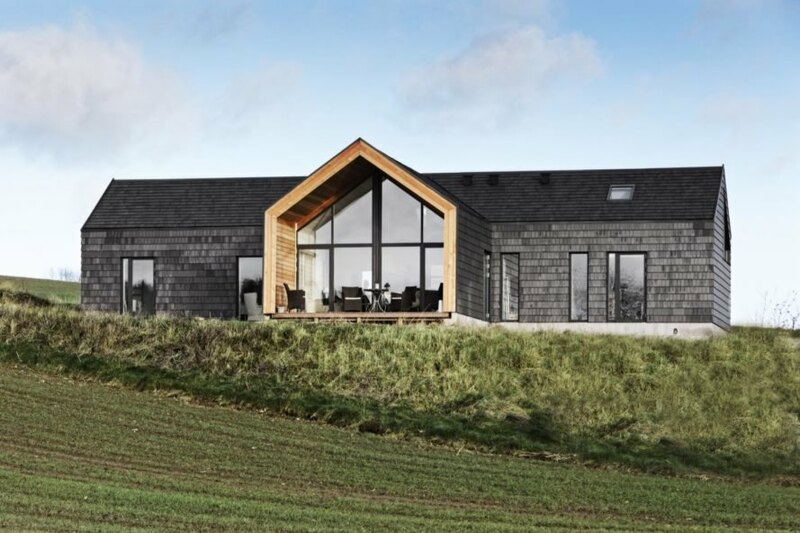 Driven by a desire to reduce carbon emissions in Denmark, the architects focused on replacing the most emission-heavy elements of typical Danish construction with more eco-friendly alternatives. In place of brick-clad concrete — commonly used for outer walls that the firm said account for nearly 30 percent of the total emissions associated with the construction of a typical home — the architects used a wooden frame clad in a thin layer of brick shingling. The slim brick facade is Cradle-to-Cradle certified and highly durable to ensure longevity. TK-33 is a striking, modern home built with sustainability in mind. 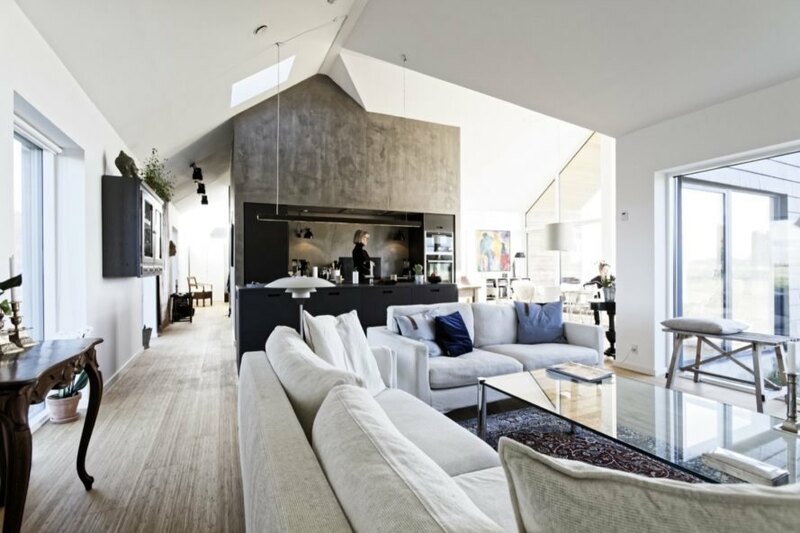 The architects wanted to veer from typical Danish construction by using more eco-friendly materials. The firm decided on a timber structure as opposed to the commonly used concrete. Inside, a natural materials palette ties the home to its surroundings. A wooden patio expands the living space to the great outdoors. Triple-glazed windows make the home more energy-efficient. 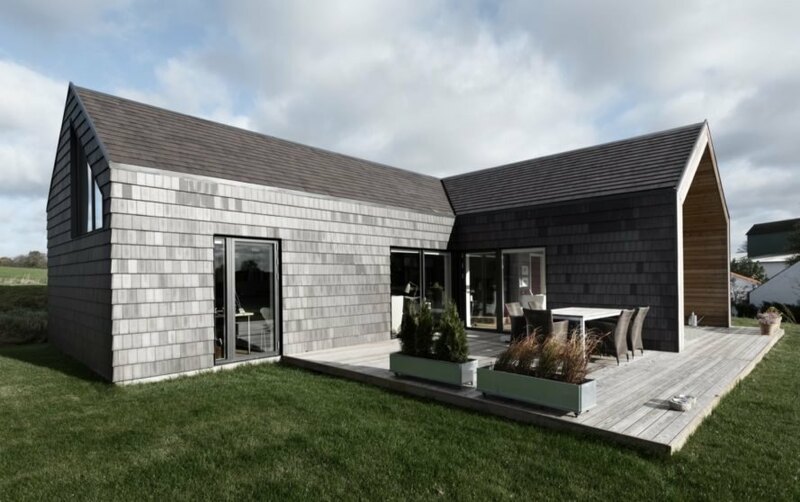 The siding consists of a thin layer of brick shingling. Gabled roofs further connect the home to the rural landscape. The facade is Cradle-to-Cradle certified.